Becker’s announcement on CMS’ DME prior authorization rule came a while back, but CMS’ stance on prior authorization is likely still causing denial issues for your facility today. Their concern wasn’t unfounded — the previous October, the Council for Medicare Integrity had reported a 53.1 percent error rate for DME billing during FY 2014 amounting to $5 billion in improper payments. The rule was expected to save Medicare $580 million over a decade, so it’s worth asking where things stand today. In June of this year, CMS’ Center for Program Integrity released this document, covering the prior authorization process for specific DME and introducing plans for the “narrowly tailored” DMEPOS Prior Authorization Program, committing itself to learning from both patient and provider experience, and encouraging feedback as a part of the process. 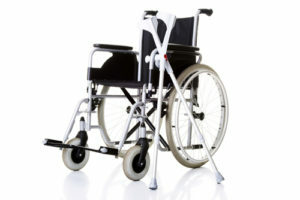 When you dig into the details, you’ll see that it covers which power wheelchairs require prior authorization (K0856 and K0861), explains why wheelchair accessories aren’t included, and outlines documentation requirements as well as the impact on patients. Insight into the authorization process and the Prior Authorization Process decision flowchart (slide 22) are likely the most useful sections of this presentation but only if you fully understand the impact that DME authorization denials have on your facility’s revenue cycle. Getting pinpoint insight into denied claim trends around DME prior authorization denials will require a sophisticated business intelligence tool that can provide your denial managers the reporting they need. Access Denial Intelligence can provide that and more, so contact OrboGraph for a consultation today.